Our mission is to make the cloud approachable to everyone in the world: From developers to designers, from seasoned engineers to those getting started. Last year we announced Now Desktop, the easiest way to get started with Now. By installing Now Desktop (available for both macOS and Windows), the now command-line client is automatically set up and kept up-to-date. Entire organizations can now get on the cloud by simply installing the app and logging in. 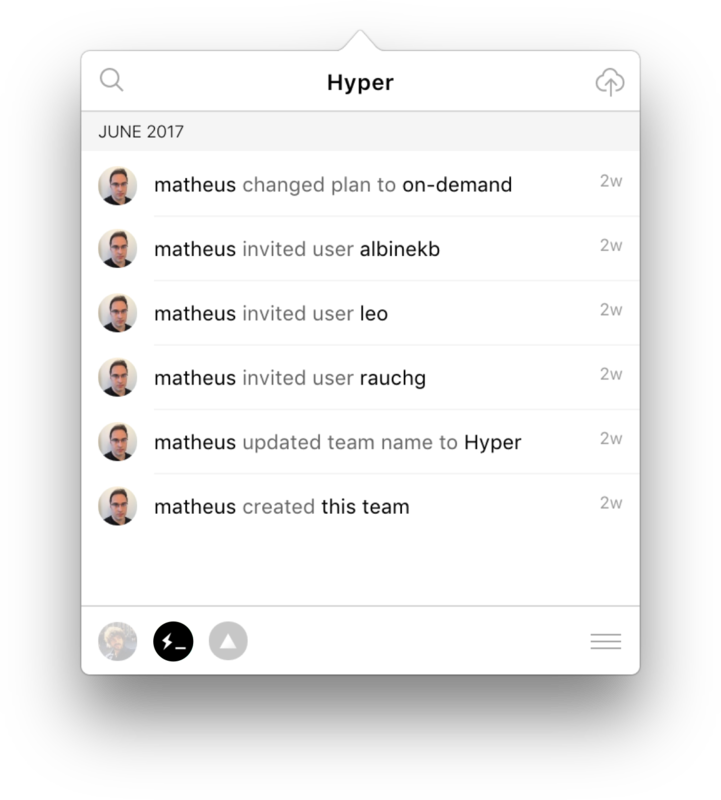 Today we are introducing its biggest evolution to date: Now Desktop 2, with support for realtime events, one-click team switching and faster deployments with support for streaming. The best part of this: If you are already running Now Desktop, there’s nothing to do. You’ll receive the update automatically. If not, simply go ahead and download it! We have improved the onboarding experience so that you learn the entire value proposition in just a few steps. Starting with the ability to drag and drop any project (static or dynamic), which is now faster than ever before. Switching between a team or context of the work you do is one click away. When you get invited to a team, the logo will show up automatically in the application. Every event you or your teammates perform shows up in realtime! What’s more: Now Desktop 2 is completely open source and powered by Electron, React and our recently announced Next.js 3.0 static export feature (combined with the power of electron-next). It’s easy to hack on, extend and contribute to! We hope you enjoy this release and look forward to your feedback.